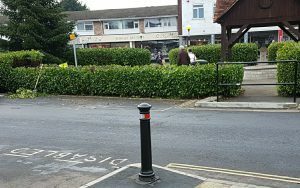 Work has started to trim the hedge around the eastern end of Stubbingto n War Memorial (the end nearest the Red Lion) to a height of about 3ft. 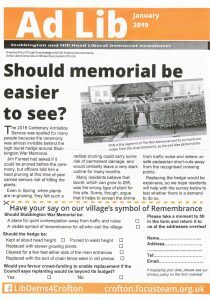 This will give better views of events such as the Armistice Service and the Christmas Carol Service, while the hedge at the western end will be kept at its present height to retain the atmosphere of the memorial itself as a tranquil place to pause and remember The Fallen. 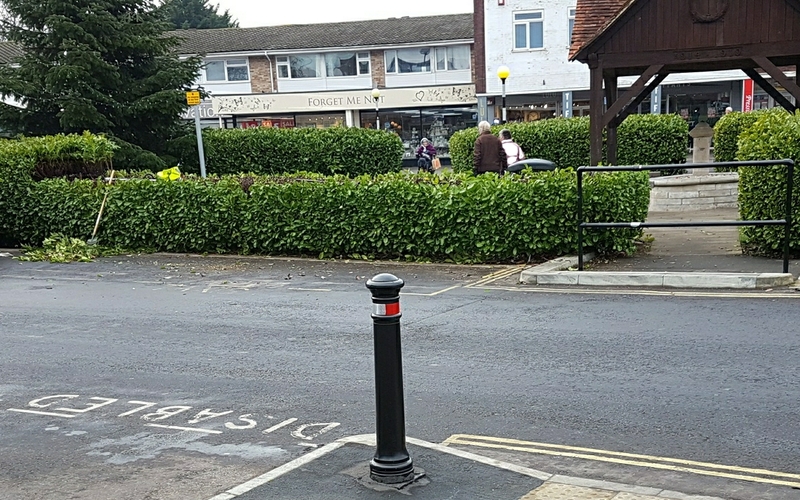 The decision follows meetings Stubbington Lib Dem Councillor Jim Forrest and UKIP Councillor Carolyn Heneghan held with Fareham Council’s senior Streetscene officers. The head of the Grounds team then attended a meeting of the Love Stubbington group to assess whether there was broad support for a lowering of the hedge. At that meeting it was supported by traders, church and community representatives and all local councillors. 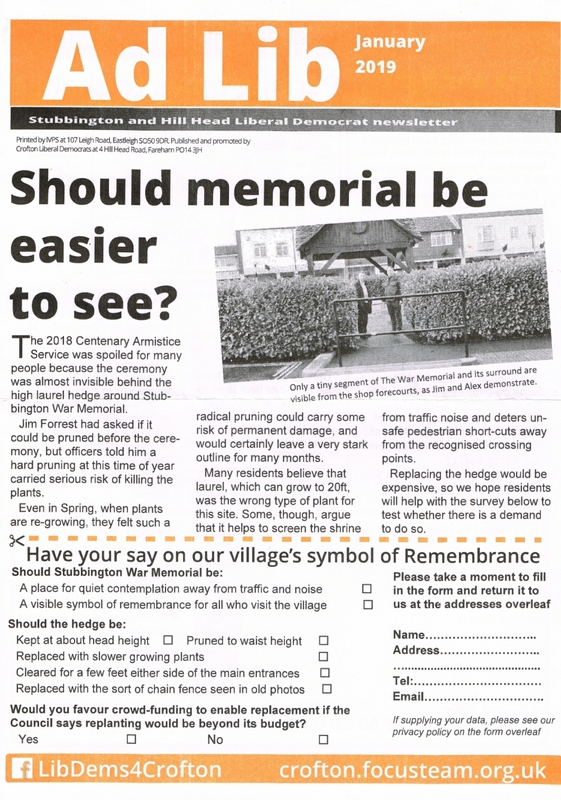 The Liberal Democrat team had in the meantime sent a survey to all 6,000 homes in Stubbington and Hill Head seeking more detail of residents’ wishes. So far we’ve received 113 responses (a high proportion when most replies were posted or hand-delivered). These are the results (not expressed as percentages, as some people ticked more than one of the multiple choice boxes). Jim Forrest says: “The Grounds team have come up with a thoughtful solution which should give a good balance between the varying wishes of local people.